Ohio psychologists have an upcoming license renewal deadline of September 30, 2018. 23 hours of continuing education (CE) are required to renew, and must be completed by August 31, 2018. Ohio psychologists can earn all 23 hours required for renewal through online courses offered @pdresources.org. Over 100 courses available. PLEASE NOTE: ALL CE COURSES must be sent to OPA or OSPA for certification before the associations send the hours to the Board. This includes APA-approved courses. Unless you send CE certificates to OPA or OSPA, they will have no way of knowing that the course was completed! The Ohio State Board of Psychology does not accept CE certificates directly. Are you prepared to renew your Ohio OT license this month? Do you know your CE requirements? Still need CE? Visit www.pdresources.org today to save 10% on all your CE needs. Enter code PDRE100 at checkout to redeem. 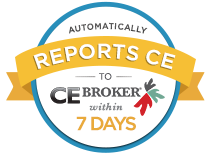 Looking for additional ways to save on CE? 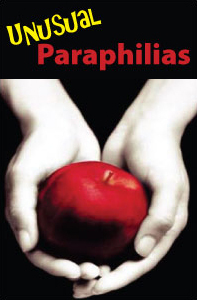 Check out our Spring CE Sale (sale ends 6/30/2011) and our Operation Goodbye Books Closeout list! Remember, you have 3 years to complete courses for credit. Feel free to call or email if you have any questions. After all, I specialize in CE so you don’t have to! Ohio Social Workers/MFTs Can Now Earn All 30 CE Hours Through Distance Learning! Effective July 3, 2010: Ohio-licensed Social Workers and Marriage & Family Therapists (MFTs) can now earn all 30 of their required continuing education hours through distance learning courses. This was previously limited to 15 hours (Counselors are still limited to 15 hours). “Distance Learning means a formal education process, in which instruction occurs when the students and instructor(s) are not located in the same place.” Distance learning refers to all non traditional methods of presentation (home study, online courses, etc.) except video conferencing. Social Workers: Any course that is accredited by the ASWB will be accepted by the Ohio Counselor, Social Worker & MFT Board for continuing social work education. If the course materials say “ACE approved” or “approved as a provider for continuing education by the ASWB,” it is acceptable. Counselors & MFTs: Courses must be approved by the CSWMFT Board as designated by the provider approval code. The provider approval code will begin with a prefix of a variation of these letters RCSTX followed by numbers. A (C ) in the prefix shows the program is approved for counselors, an (S ) for social workers and (T) for Marriage & Family Therapists. Professional Development Resources is approved as a provider of continuing education for Social Workers, Counselors & MFTs by the Ohio Counselor, Social Worker and Marriage & Family Therapist Board (Provider #RCST100501). 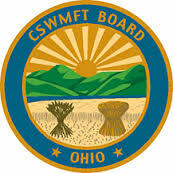 Courses that are approved by the Ohio CSWMFT Board have the provider code listed in the accreditation statement on the course details page. All licensees are required to earn 3 hours of continuing education in ethics each renewal period. Professional Development Resources offers a variety of ethics courses for Social Workers, Counselors & MFTs. Counselors holding the supervising counselor designation must complete 6 hours of supervisory training per renewal cycle. Social Workers holding the supervising designation must complete 3 hours of supervisory training per renewal cycle.